Petite Black High Waist Shaper Jeggings is rated 3.6 out of 5 by 7. 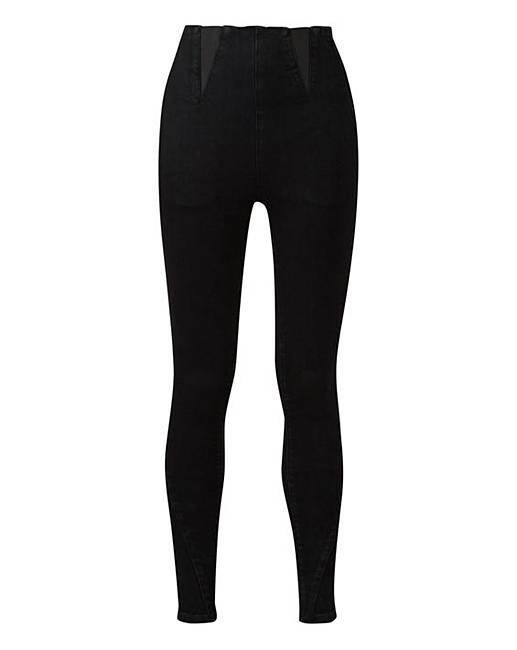 Create an enviable hourglass silhouette with our fabulous high-waist shaper jeggings. Designed to hug your curves and emphasize your best bits, these jeans are fitted with intelligent control technology for an instant slimming effect. To complete the look, team with a top of your choice and some strappy sandal heels. Gorgeous! Rated 3 out of 5 by MelJ from Brought before and was happy! I brought this item as I have brought them before after being told about them by a friend, but unfortunately the pair that have arrived say that they are a 20 and short legged like I ordered but appear to be much smaller! My size 16 sister tried them and they were snug on her!! I am disappointed, but I am hoping this is just a one off! I do still recommend this product as mine could have just been sized wrong! Rated 5 out of 5 by Hovis2244 from Fabulous fit I bought these back in October fit is fabulous. Right length as I'm only 5ft 1in.. High waisted holds tummy area in.lifts bottom.. I do advice washing them first on a 30. Rated 5 out of 5 by Suzie from Great Fit and quality I purchased another pair of these a few weeks ago as loved how great they are. High weist jeggings are so hard to find as most places have thin fabric but these are like a pair of jeans but without the discomfort of buttons and zips. They are comfy and look like jeans.. brilliant for all sizes, comfy, high quality and perfect for all shapes and sizes. Which is is hard to find in my opinion. Definitely recommend these to anyone who wants comfortable leggings but the look of jeans, along with still being modern and stylish. Rated 1 out of 5 by Sune from Poor quality, poor stitching, too long!! I bought 2 of these jeggings 10 days ago. 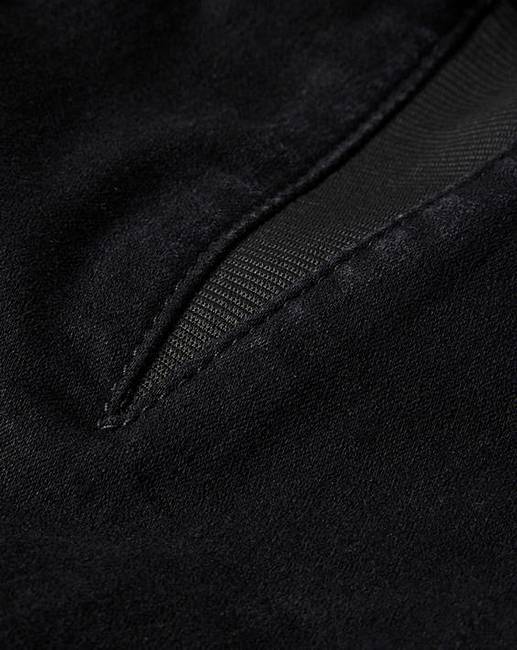 They are really of poor quality material, very badly stitched and even the short is too long for me. I am 5ft tall. Rated 5 out of 5 by Tracey38 from Amazing fit! I love these jeggings, I’ve got 3 pairs now, they fit perfectly and you can dress them up or down, really pleased with them. Rated 5 out of 5 by SpeckyLynch from Finally jeans that fit!! I'm a plus sized weightlifter so I have a bit of an odd shaped body. My my bum, thighs and calves are very muscular but I have a big tummy (think female dadbod!) and on top of this I'm 4ft 11! I'm always skeptical about buying jeans, nothing ever fits, but these are an absolute miracle! They come to my ankle and are nice and form fitting around my legs and bum but don't constrict my tummy at all. I cannot recommend these enough! Simply Be, your petite range is absolute winner! Rated 1 out of 5 by Jules from Meh. These somehow managed to be both too baggy AND too tight. They were very wrinkled when worn. Good to see petite clothing in a size 32 though. Length was fine. Sent them back.